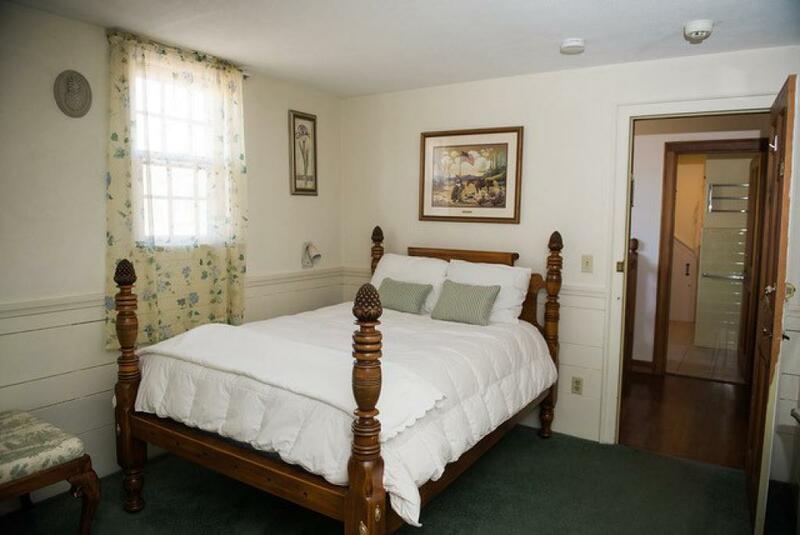 1 Queen Bed, Stand up Shower. 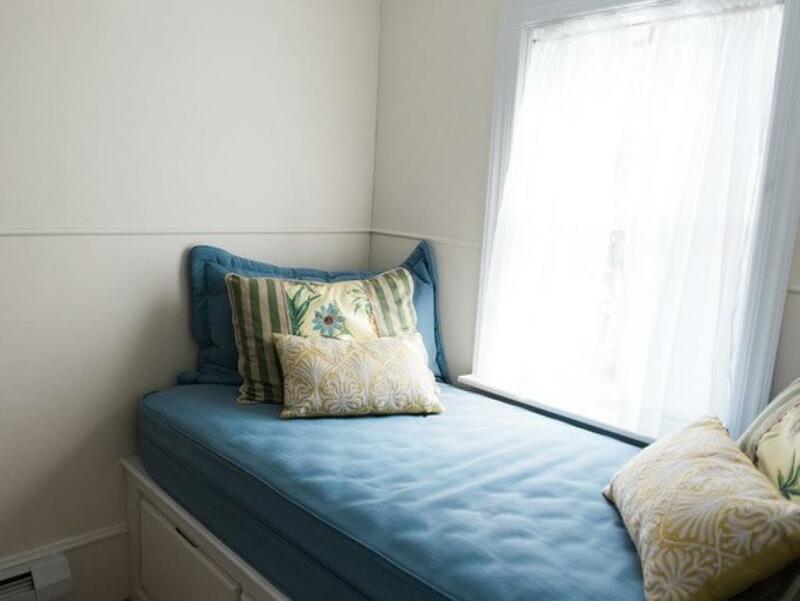 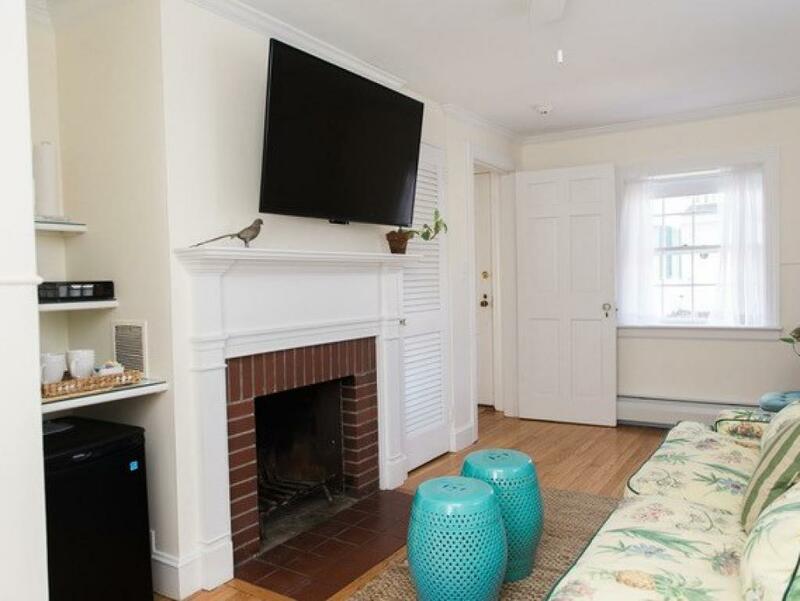 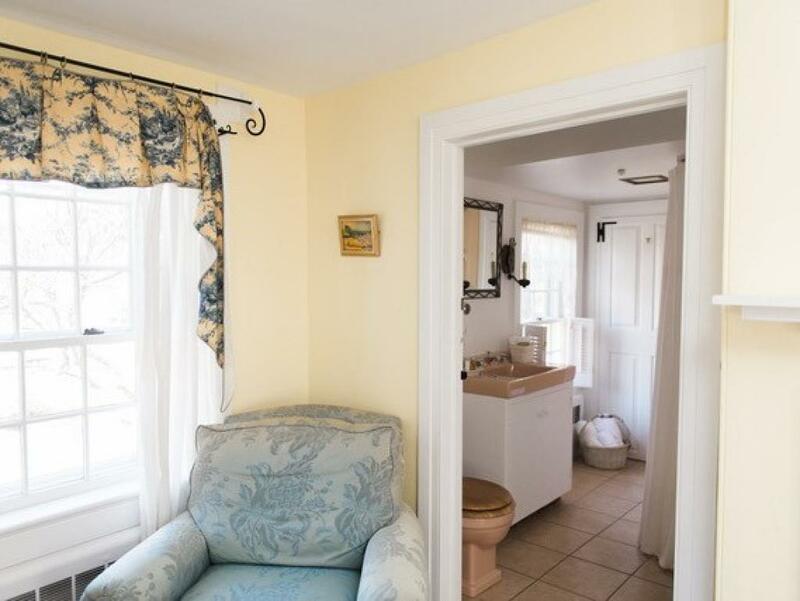 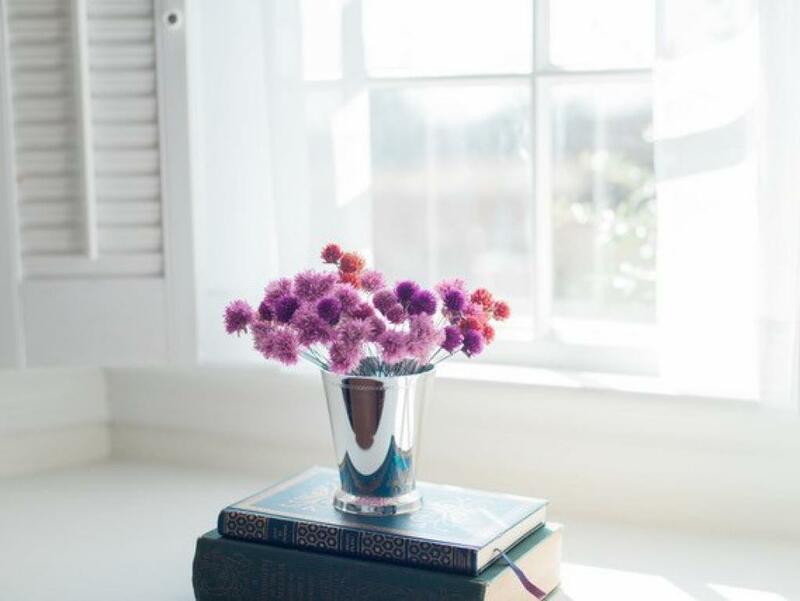 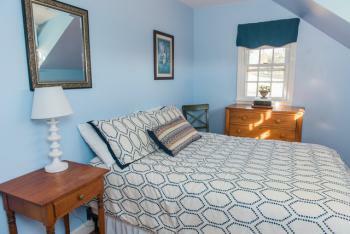 This sunny, very cheerful room is small but very comfortable. 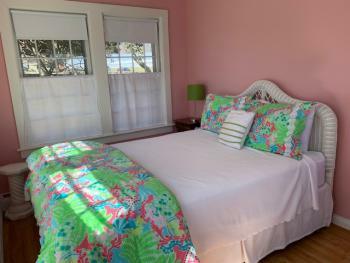 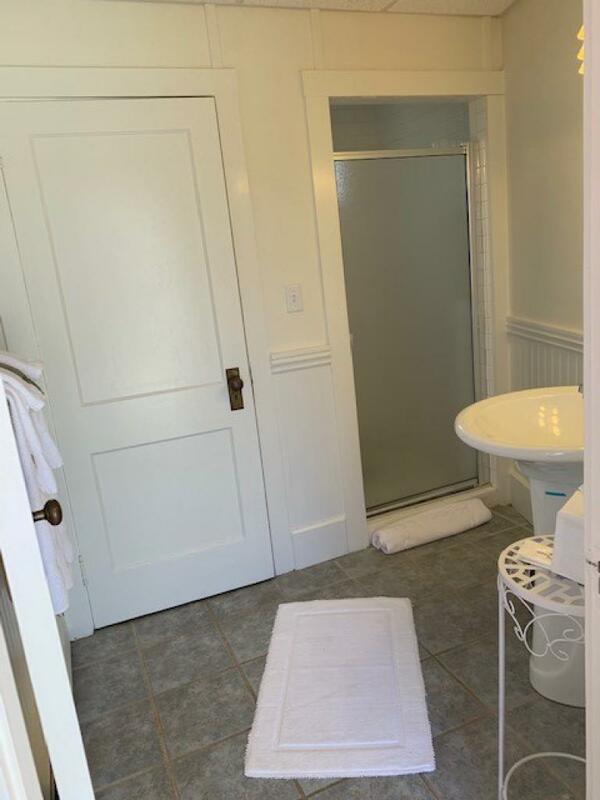 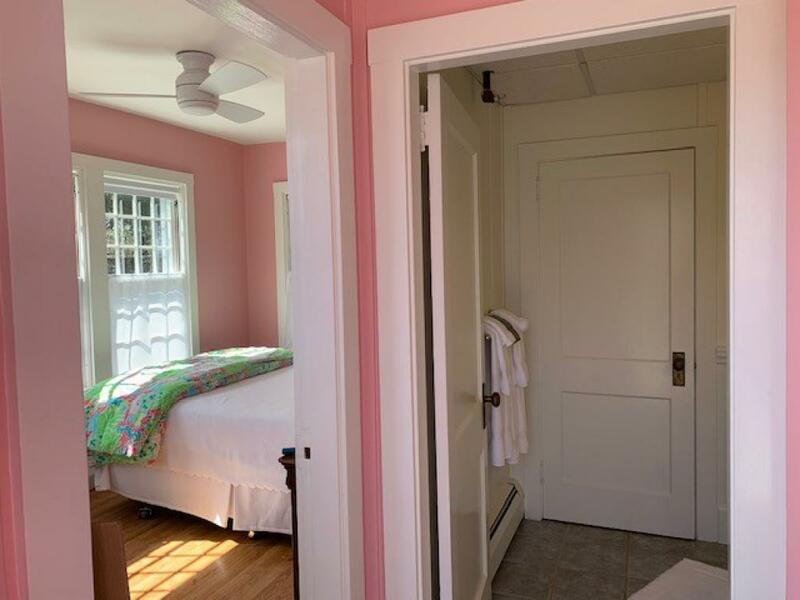 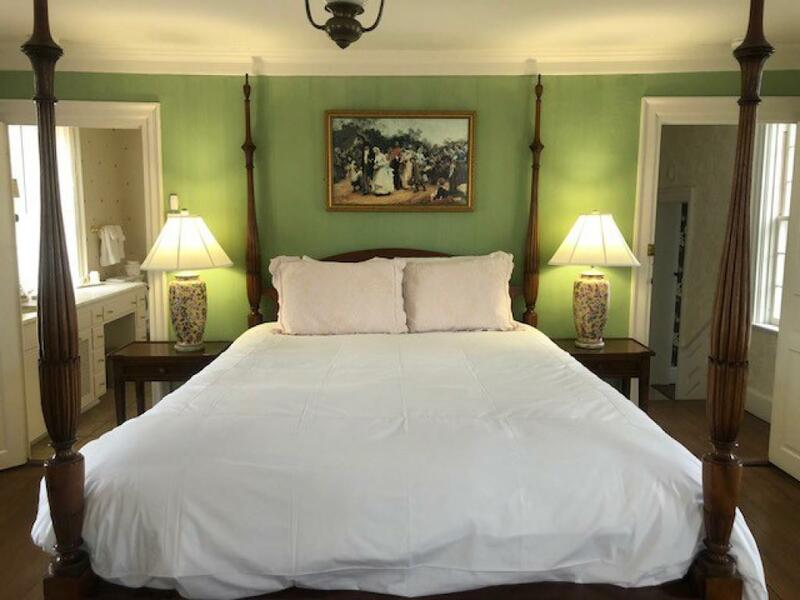 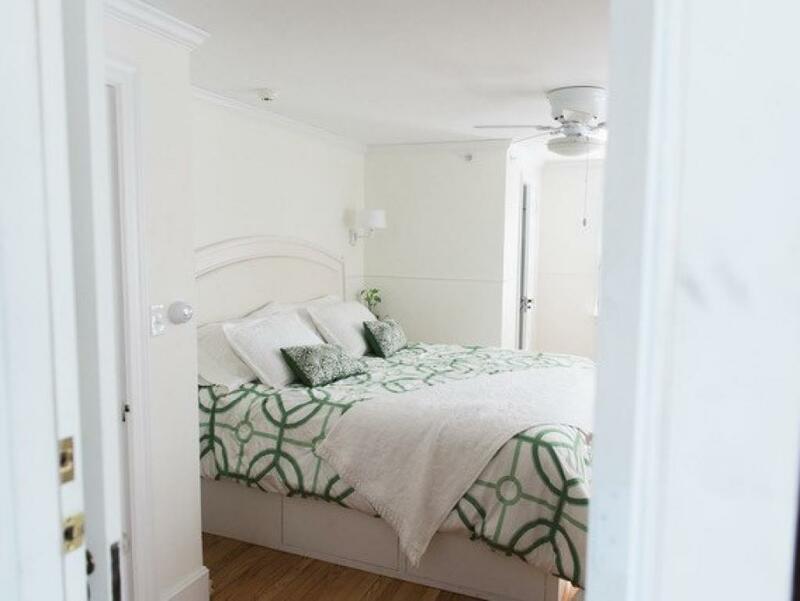 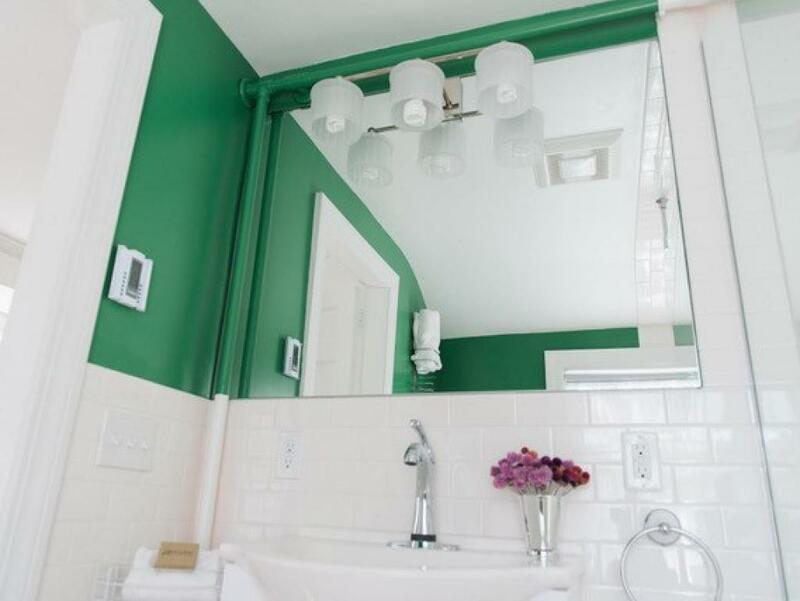 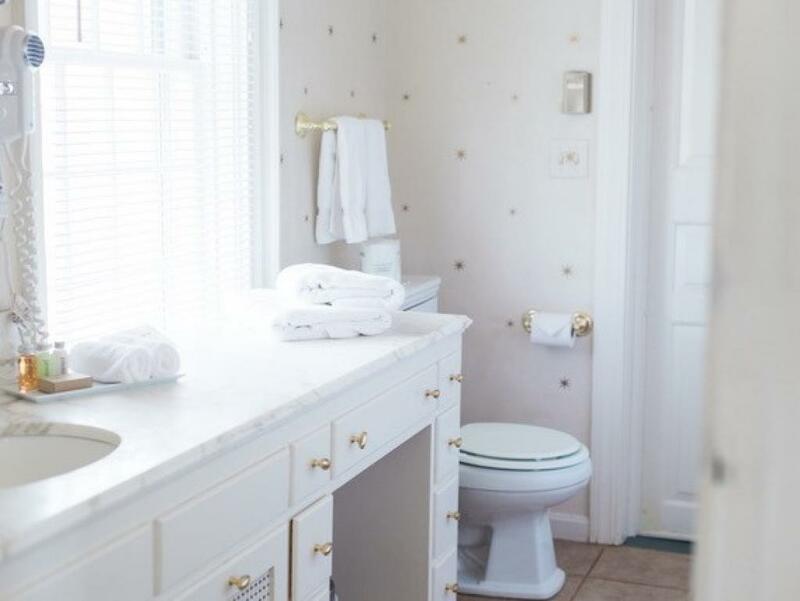 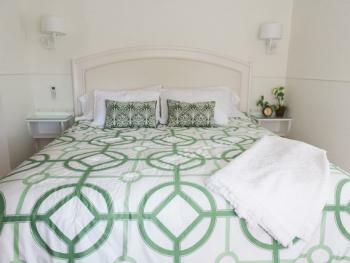 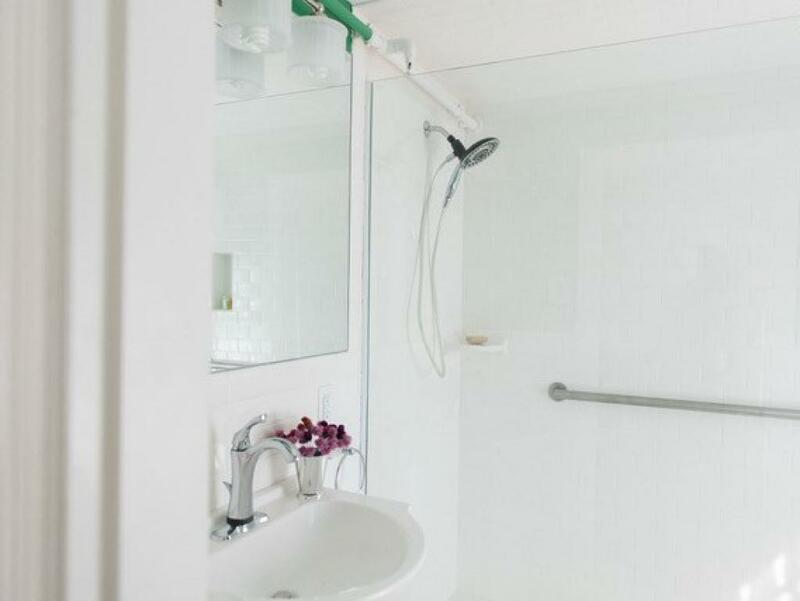 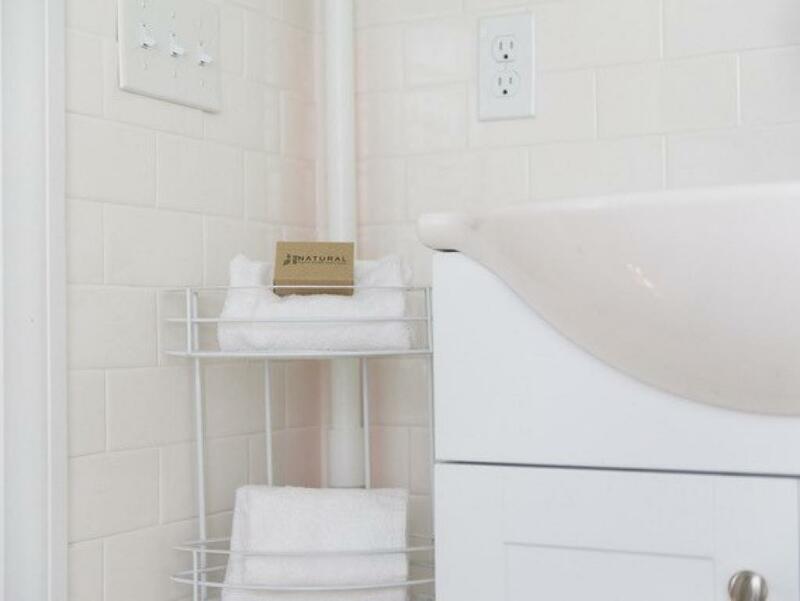 The queen size bed is fitted with luxury Matouk linens Lily Pulitzer colors and the bathroom has a lovely white subway tile shower with a pebble floor. 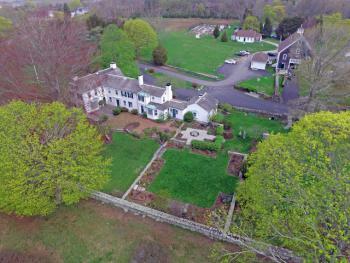 South Pasture is steps away from the parking area and overlooks the Farm’s fields in a very private location. 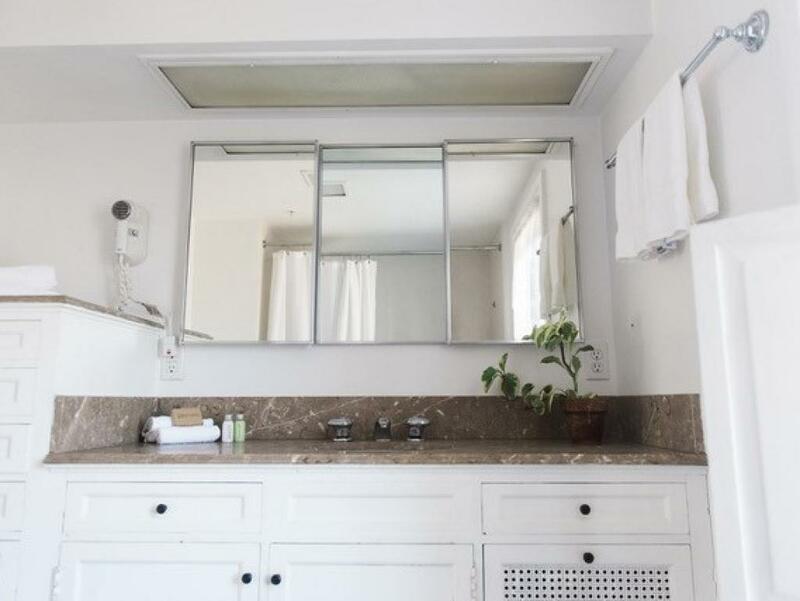 The windows face south, west and east. 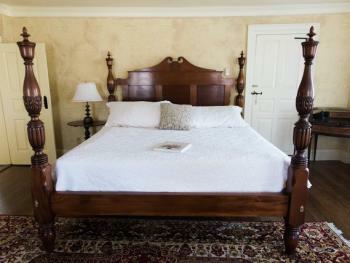 1 Queen Bed, Stand Up Shower Spiral staircase to room. 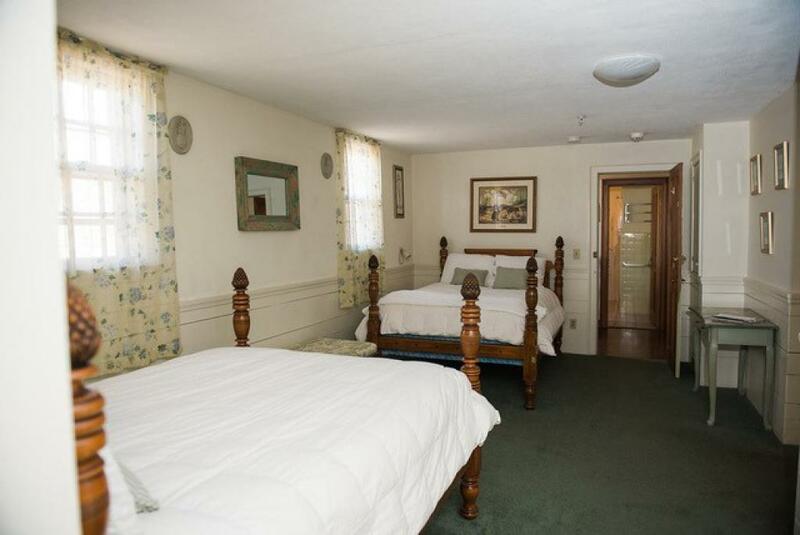 1 Queen Bed and One Twin in seperate living space. 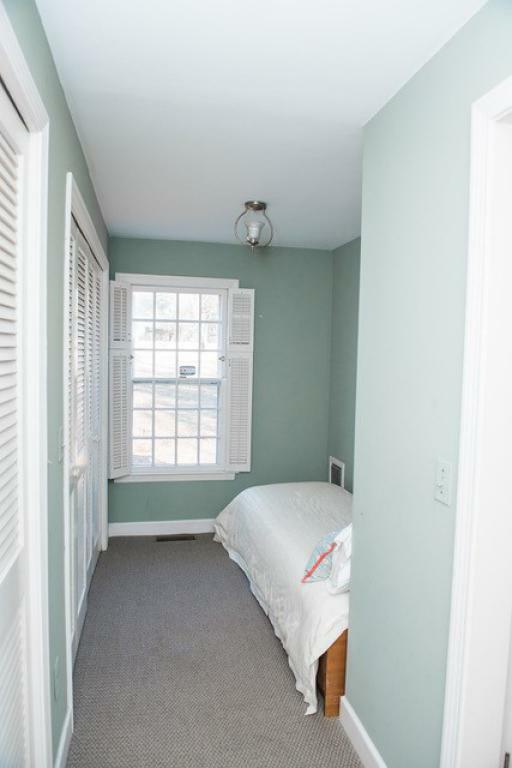 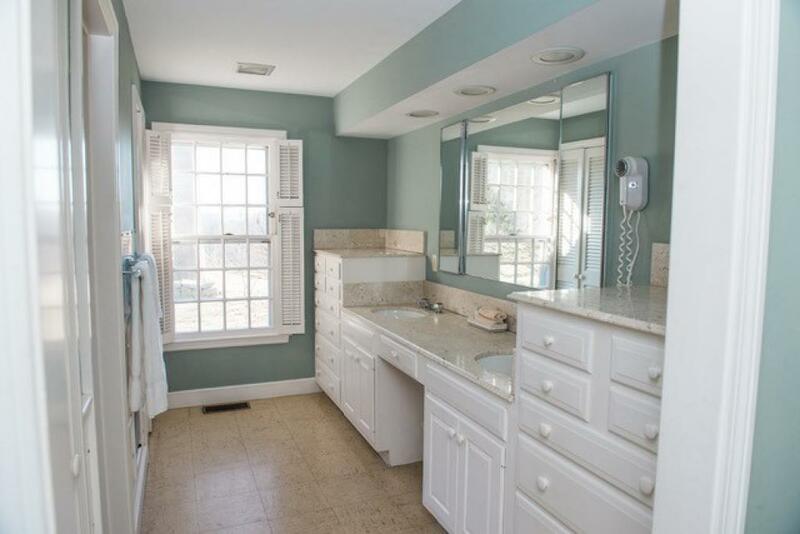 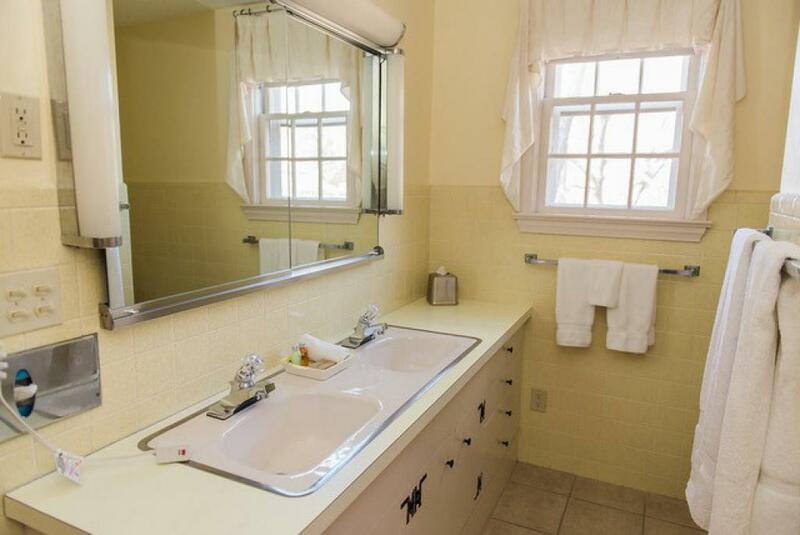 Window Air conditioner, stand up shower with private entrance. 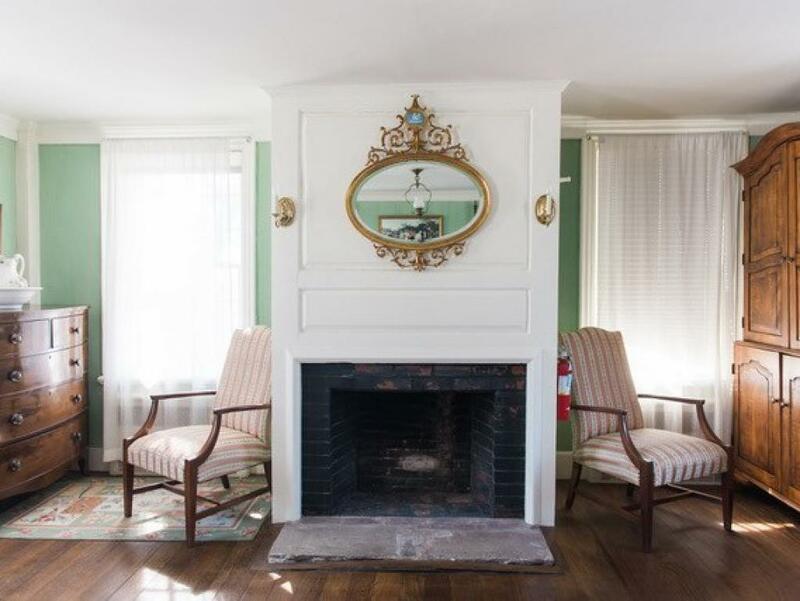 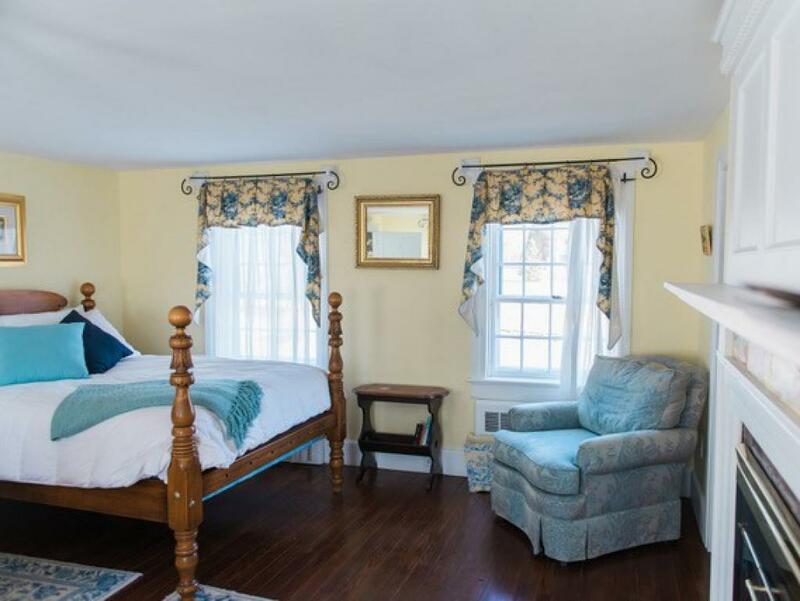 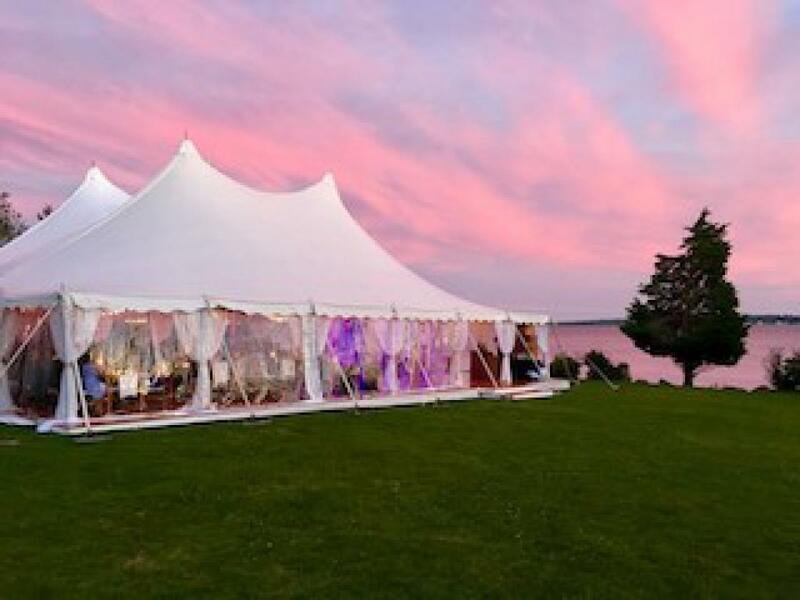 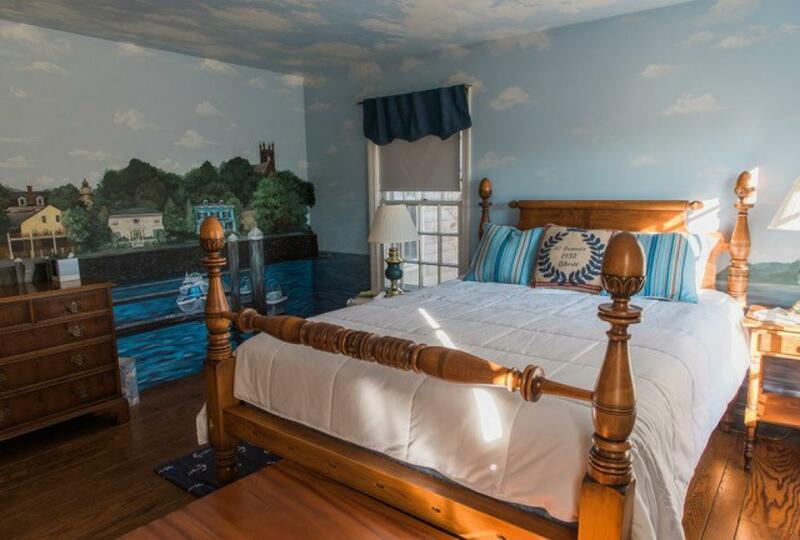 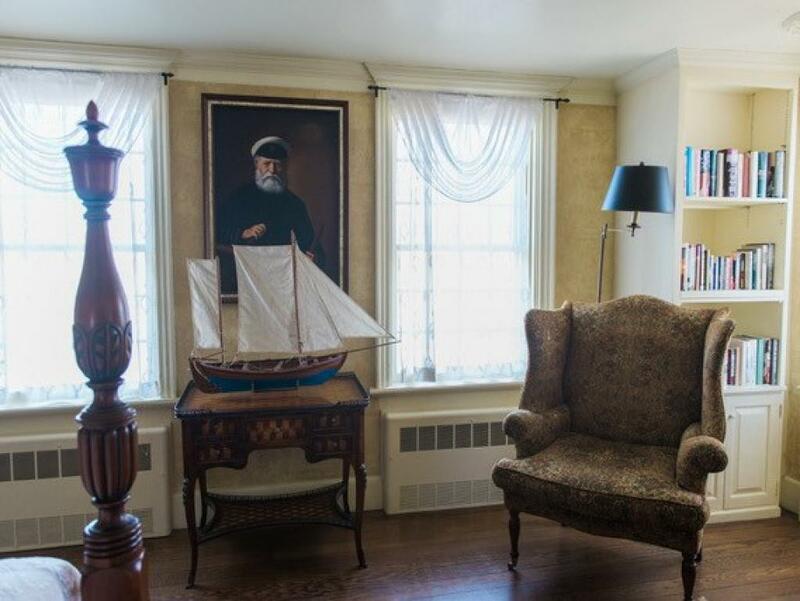 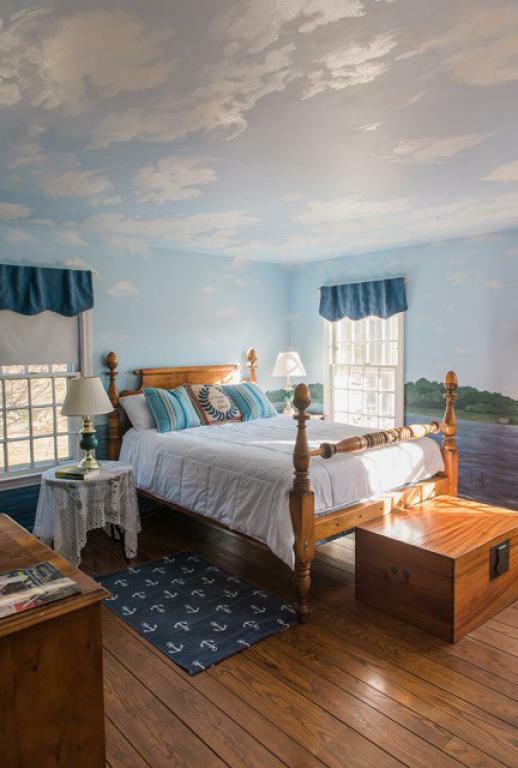 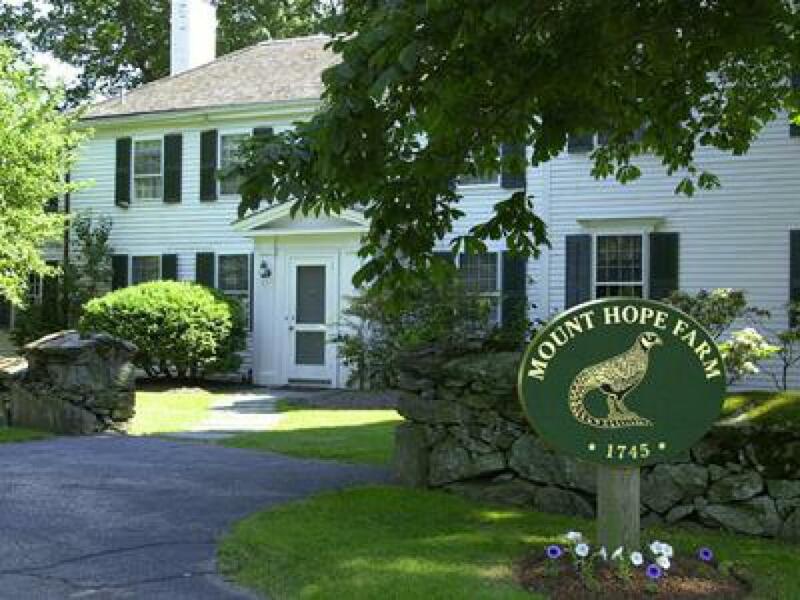 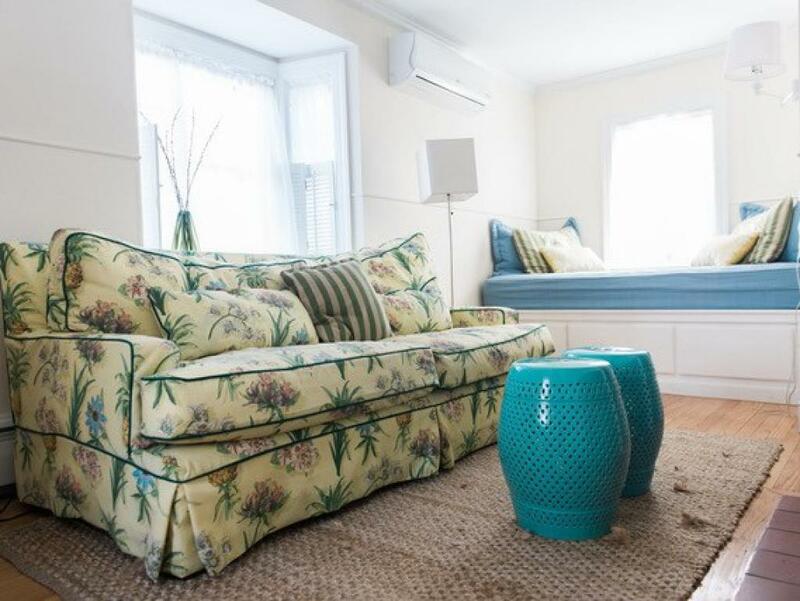 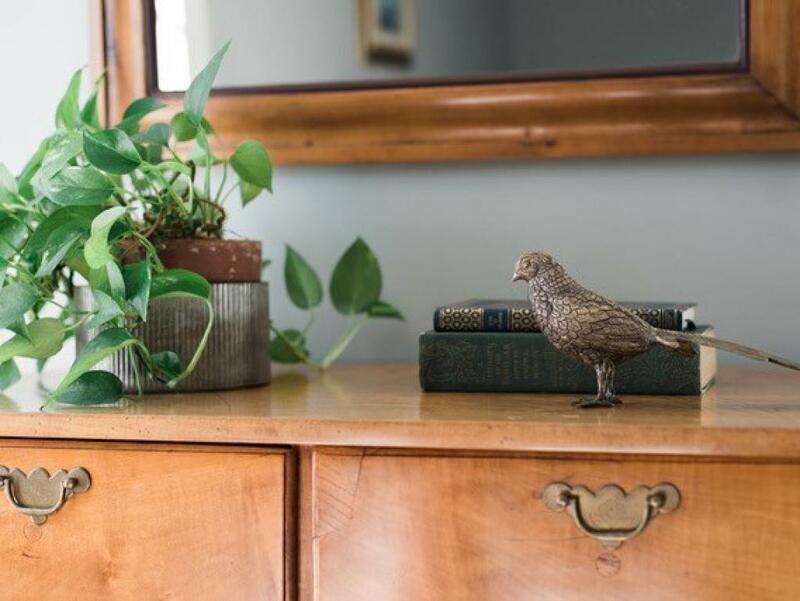 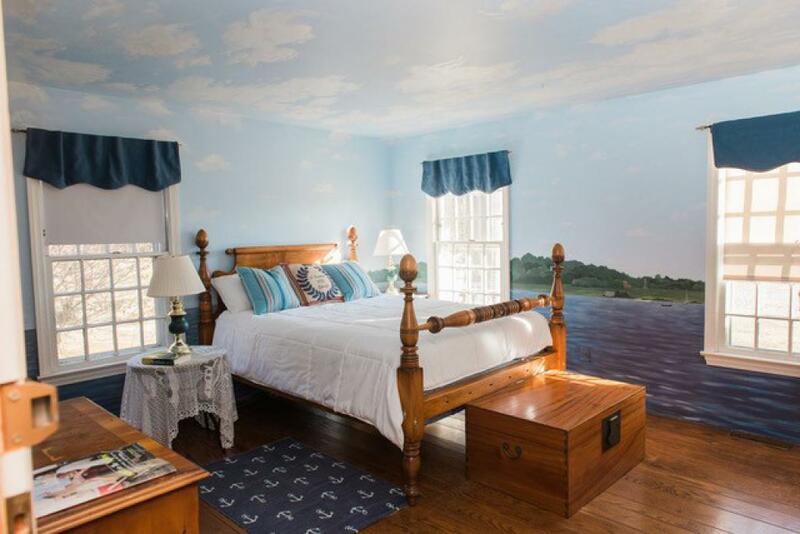 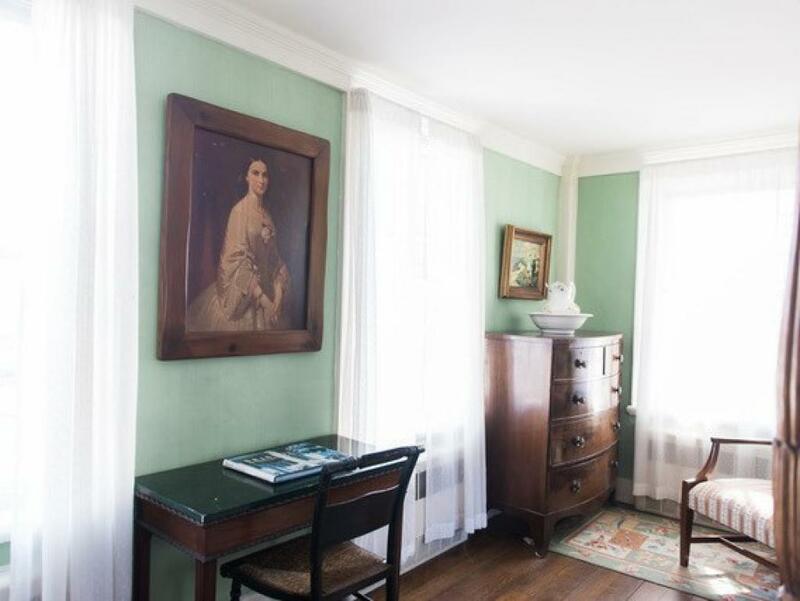 The Inn at Mount Hope Farm is located in Bristol, RI, a picturesque quintessentially, New England town with lots of beautiful architecture, historic homes and a sheltered harbor, home to a number of sailboats. 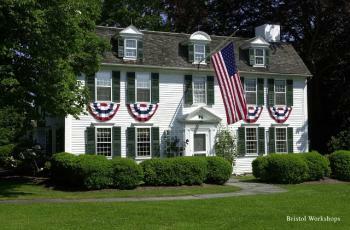 Shops, restaurants and, museums make this town a very popular place for visitors. 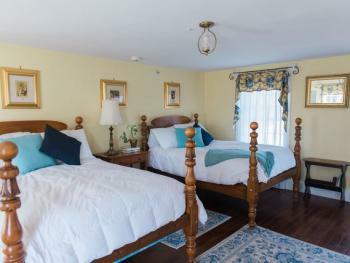 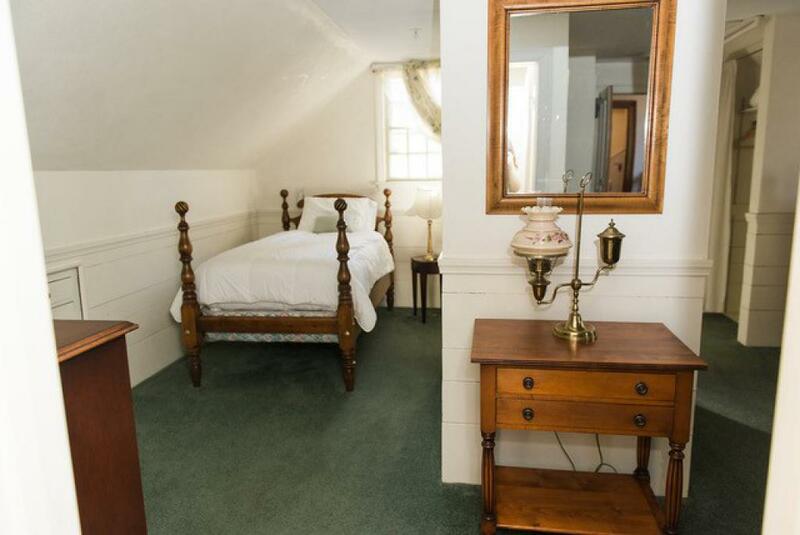 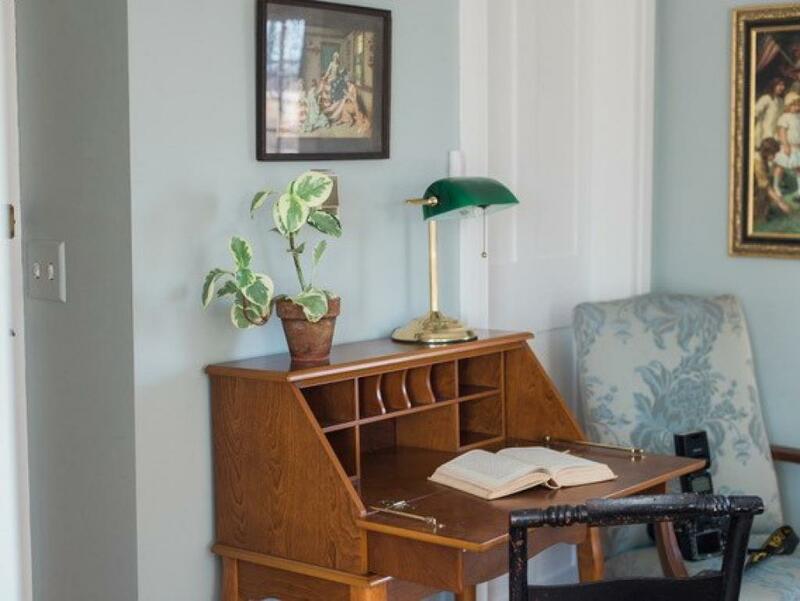 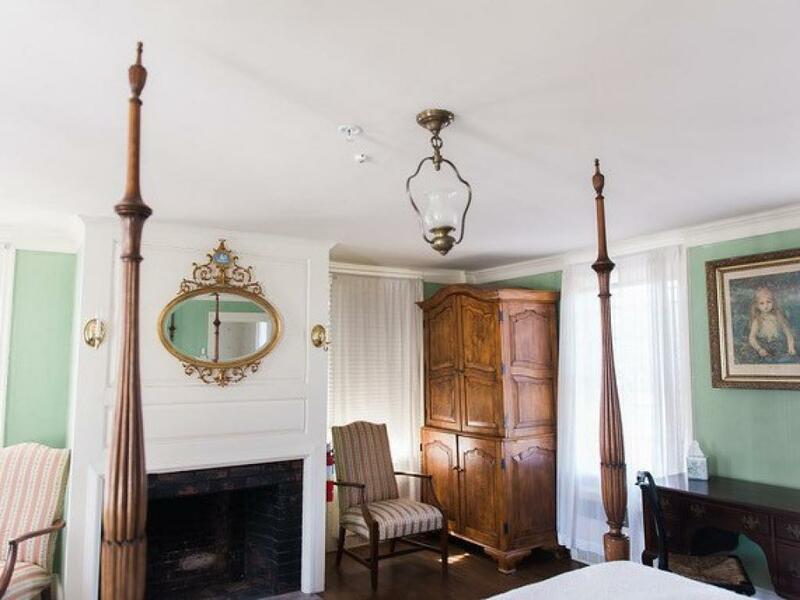 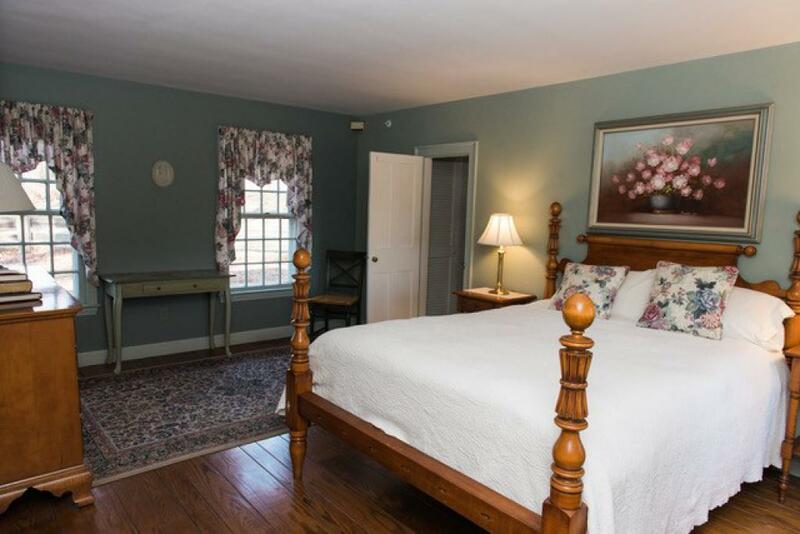 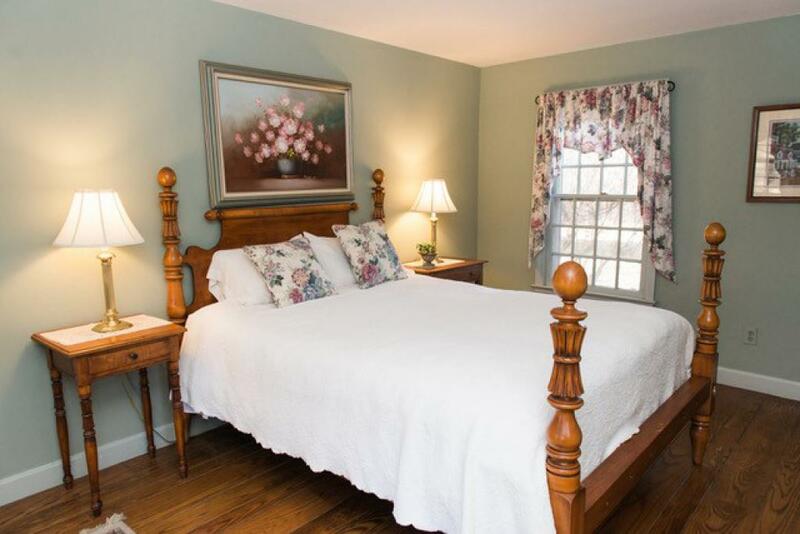 The Inn is open year round and its 12 rooms, each distinctive and with air-conditioning and private bathrooms, is located in three different buildings. 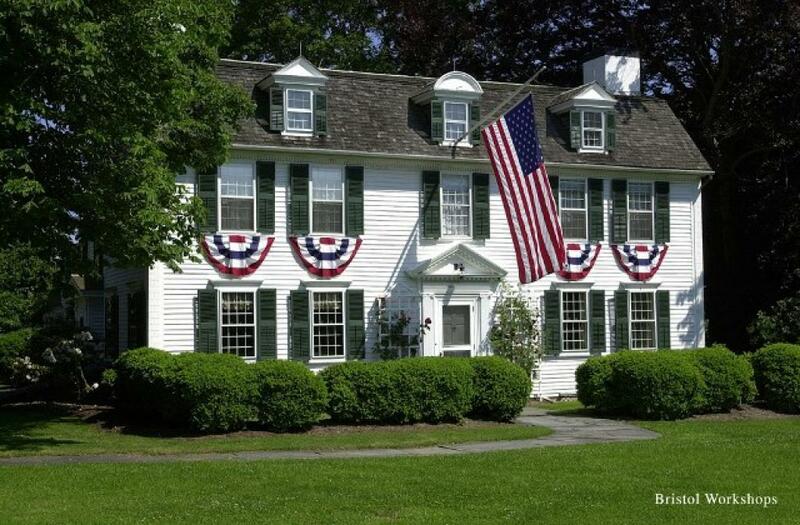 The largest is the Governor Bradford House, built in 1745 and home to George Washington during his visit to Bristol (his troops camped in the yard). 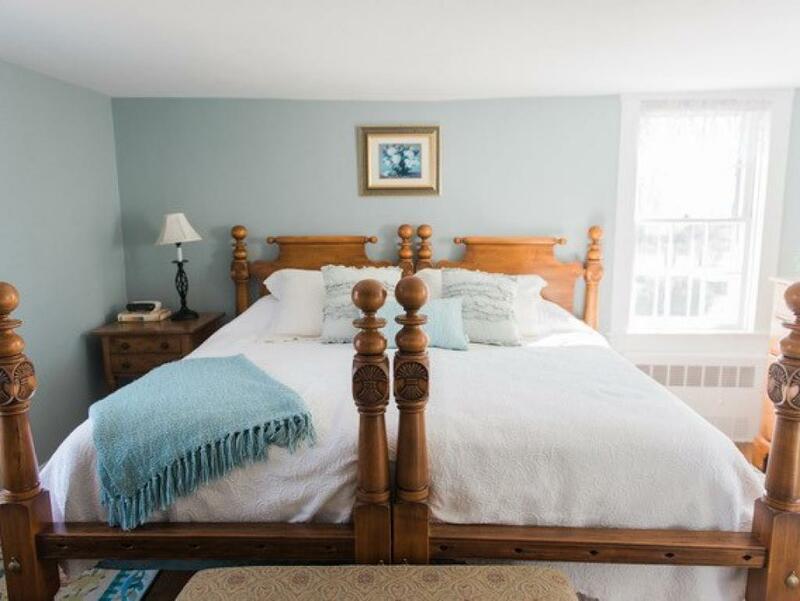 North Pasture is a 4 bedroom, 4 1/2 bath Maine cottage relocated to the Farm, which may be rented as an entire house, or individual rooms. 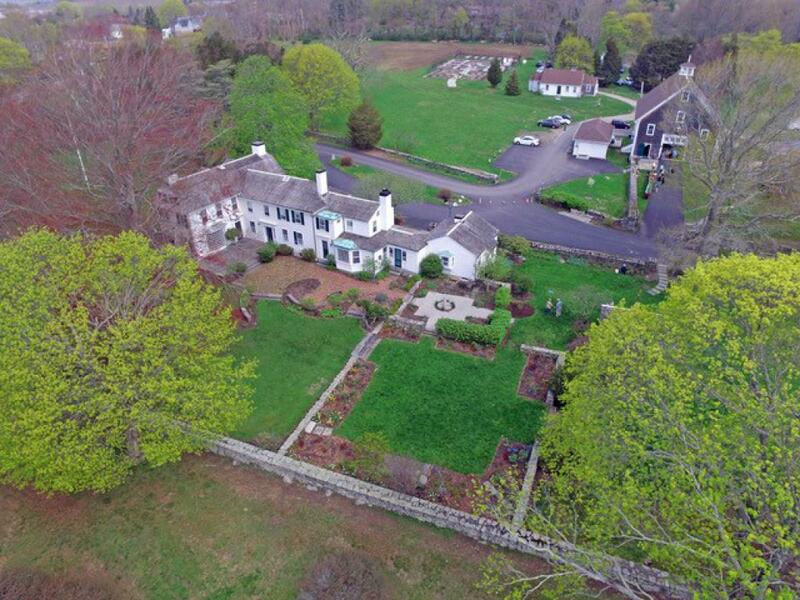 South Pasture is a very private 3 room house just east of the Governor Bradford House’s lawn and gardens. 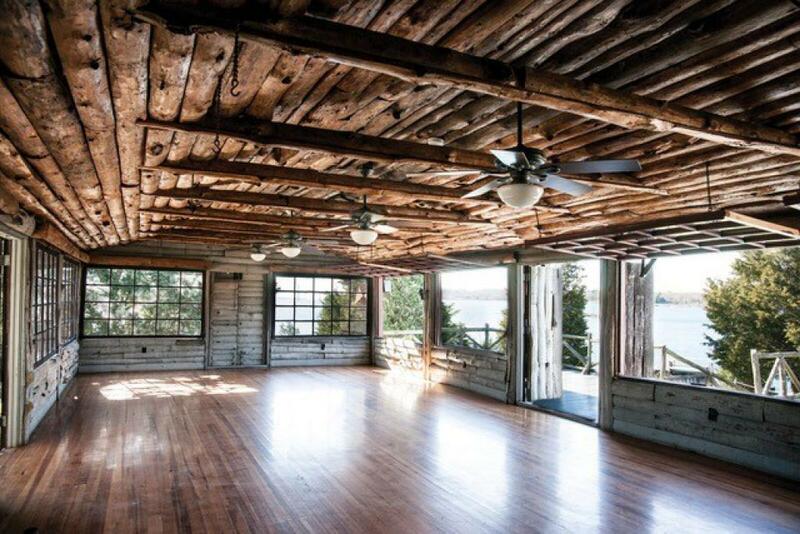 The Farm is run as a non profit and was purchased in 1999 by a group of local citizens to save it from development. 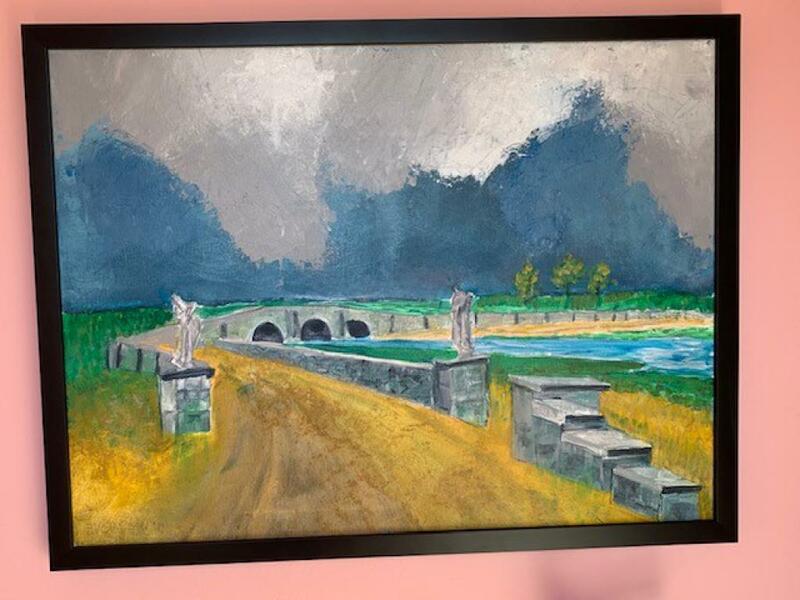 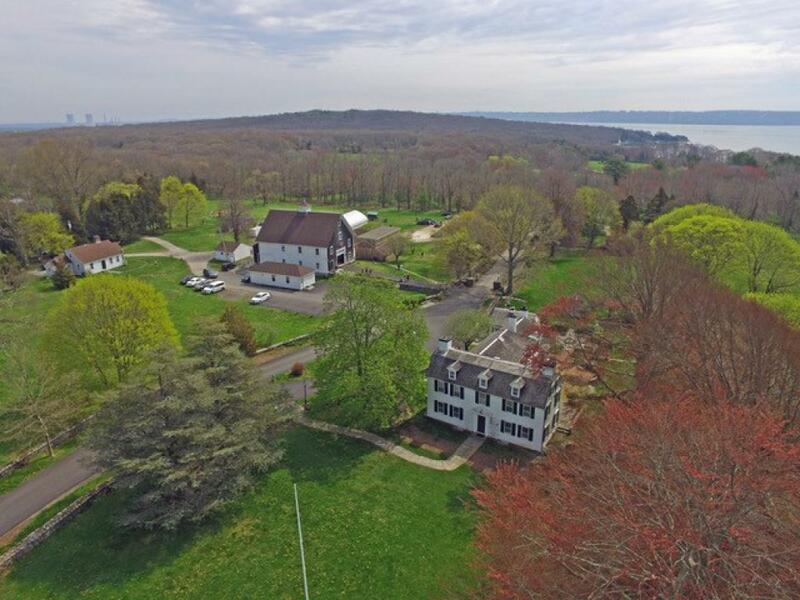 The Farm’s 127 acres and the adjoining 350 acres, owned by Brown University, were all owned by the Haffenreffer Family for years until that family donated much of the land to Brown and the Farm’s average was purchased from the Haffenreffer estate. 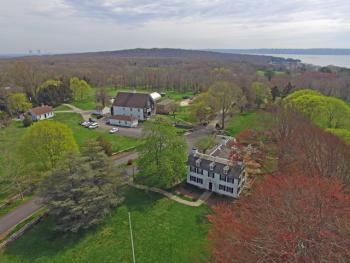 The Farm stretches from Metacom Avenue to Mount Hope Bay and is home to Southdown sheep, bees, donkeys, dwarf Nigerian goats and chickens. 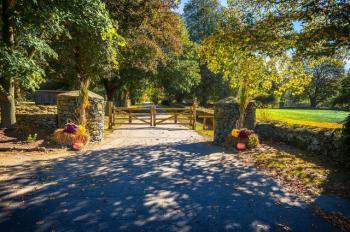 And is a nationally recognized Arboretum. 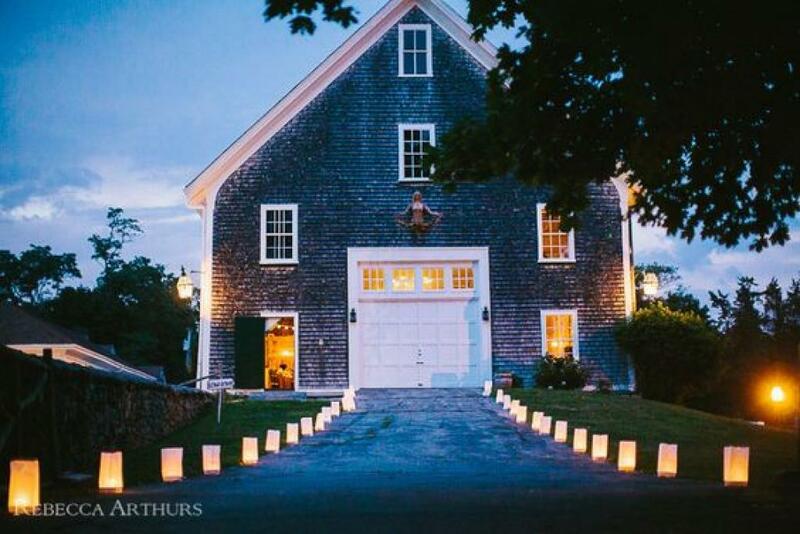 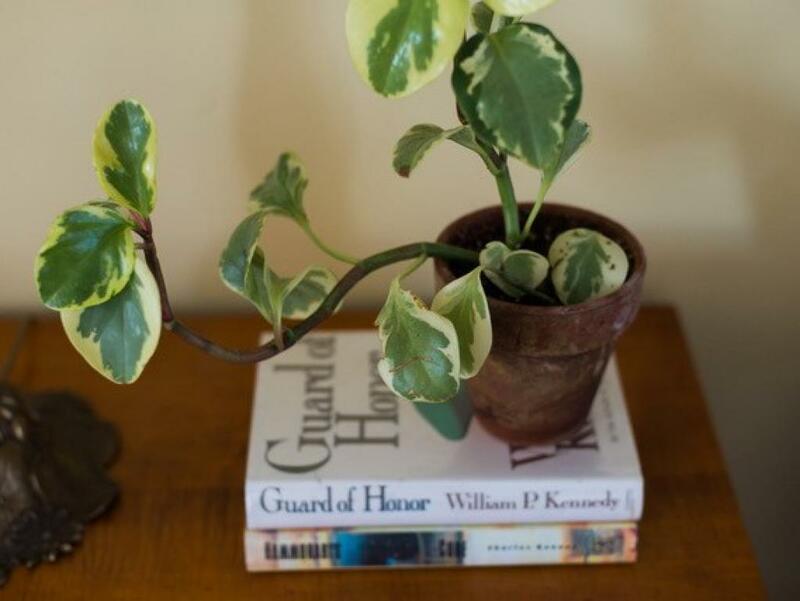 Community activities include 4-H clubs, a summer children’s camp, vegetable gardens staffed by volunteers with all produce donated to the local Food Bank, and a variety of lectures, walks and other programs, including goat yoga. The Farm is supported by donations, memberships and rental income generated from parties and weddings. 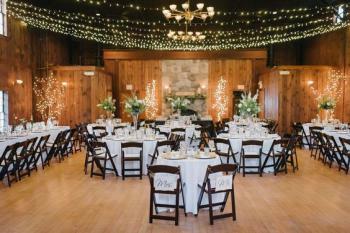 The historic Civil War era barn and Cove Cabin, perfect for hosting events. We have 5 rooms on our ground floor. 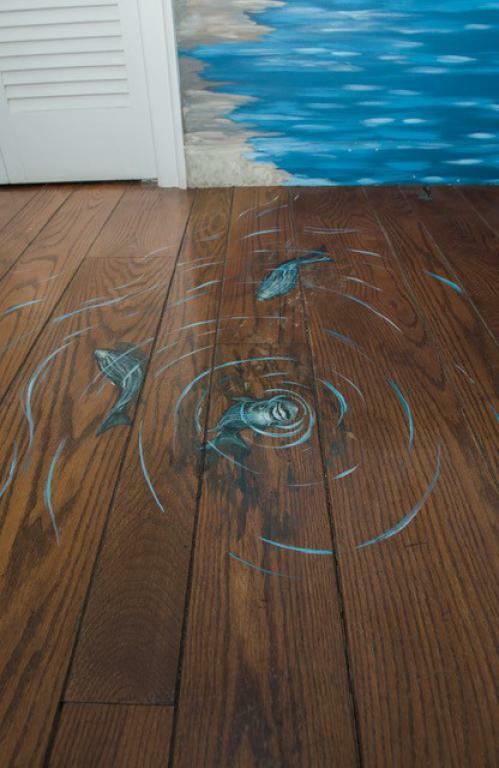 But are all accessed by one step. The most accommodating room would be room #12 King Philip Suite. Due to the age the house was built ( 1745 ) we do not have a full ADA accessible room.